No matter where we travel, whether the place is close or far, known or unknown, its history always leaves a trace inside us. But there are places that keep not only their own history, but the history of a whole country and its people. 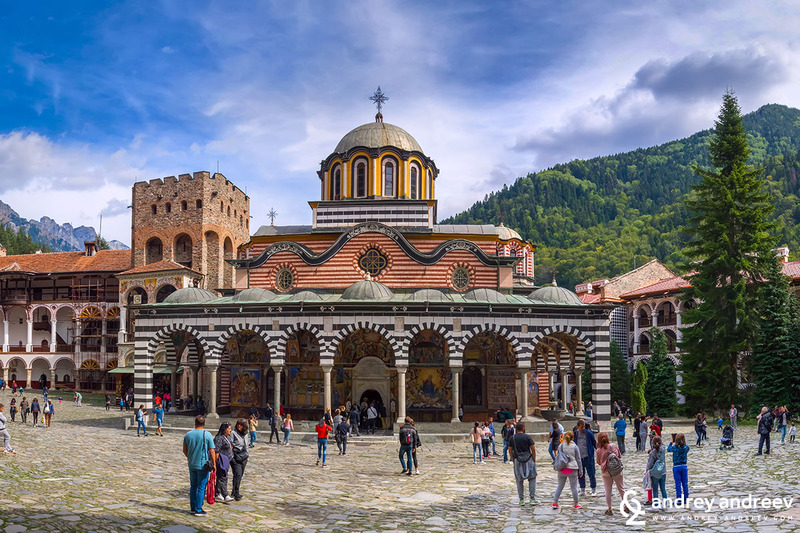 One of these is Rila Monastery (Рилски манастир – Rilski Manastir) – one of the holiest places in Bulgaria, established by the heavenly protector of the Bulgarians Saint John of Rila in the 10th century. It is precious not only with its beauty, it still keeps a large part of Bulgarian history and culture. We have been to Rila Monastery many times and often find ourselves there. We try to visit outside official holidays and weekends because it can get really crowded. It is beautiful in any season and the fresh air and the beauty of the mountain around are enchanting. Last time we were there was in a late September weekend. It was very busy so we passed by and headed to another holy place nearby – the grave of its founder Saint John of Rila. Photo made by our friend with a drone Stefan. 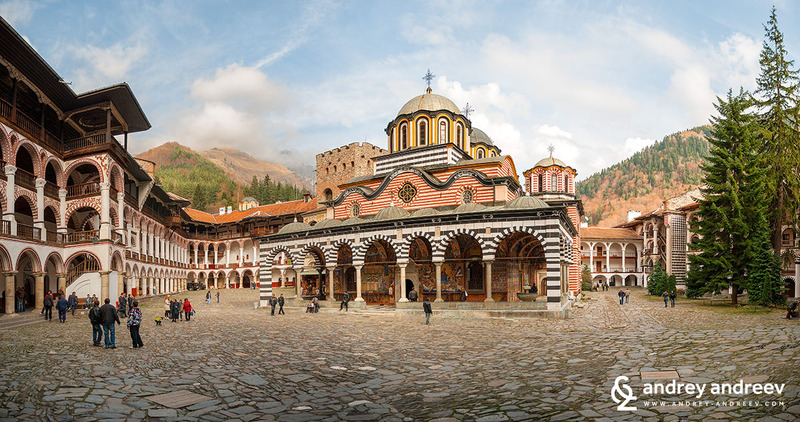 The Rila Monastery was established in the 10th century by the first Bulgarian hermit John of Rila, declared a saint while he was still alive. Saint John of Rila lived between 876 – 946. 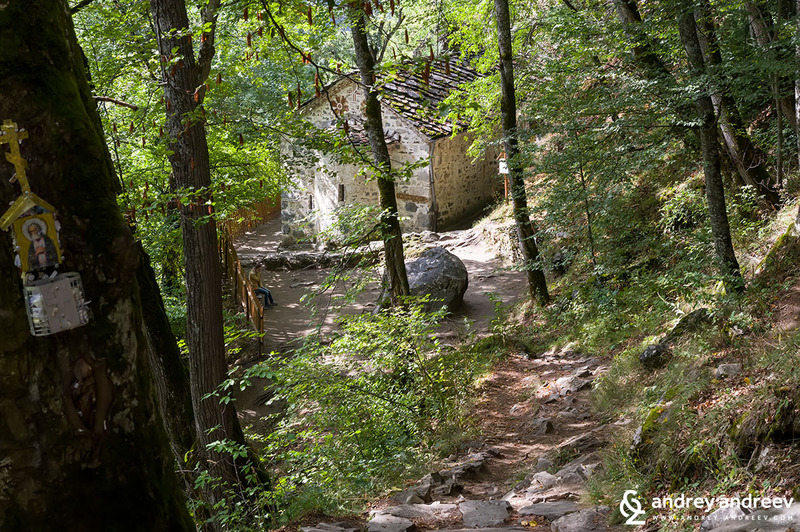 The first monastery was several kilometres upper in the mountain, in the area where the hermit used to live and pray. It was a modest place, hosting the saint and his followers. Saint John of Rila is featured in the back side of the 1 lv coin. Church of the Dormition of St. John of Rila. The construction of the present structure of the monastery started around 13 – 14 century. The oldest building that survived today is a tower inside the monastery yard, known as Hrelyo’s tower. It was named after a local ruler who was in power when the construction of the monastery started. Nowadays you can climb the tower, see the old frescoes inside it and the enjoy the view to the monastery yard and Rila mountains. The frescoes are so precious that they are protected by glass walls. The present look of Rila Monastery dates back to 19th century. The beautiful main church in the middle was erected in 1834 – 1838. 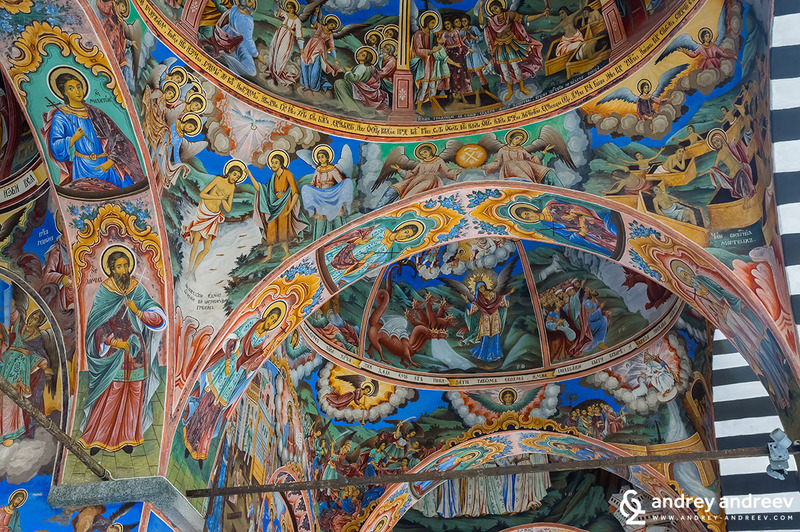 The frescoes inside were created by the most famous and talented Bulgarian artists at the time. The residential buildings surrounding the church are not less impressive. They form together an irregular pentagon and each wing is 4 or 5 floors high. All of them are extremely beautiful but are accessible only to residents and pilgrims staying in the monastery. You can spend a night in the monastery if you are willing to stay longer at this holy place. It offers modest rooms with basic facilities and the traditional hotel services are not available. After all, you are supposed to be there first for pilgrimage and not for pleasure. 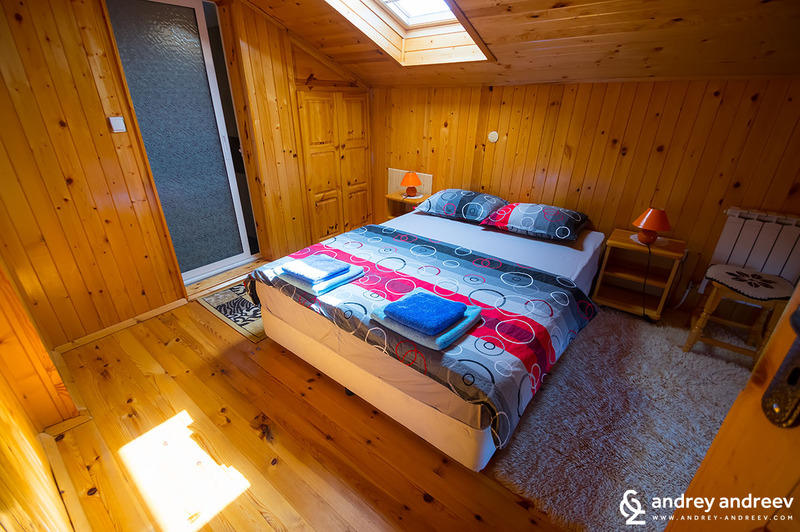 Staying for the night in the monastery is doubtlessly a spiritual experience that lets you stay with your thoughts and prayers and enjoy the silence and the nature around. Call in advance to book your accommodation. 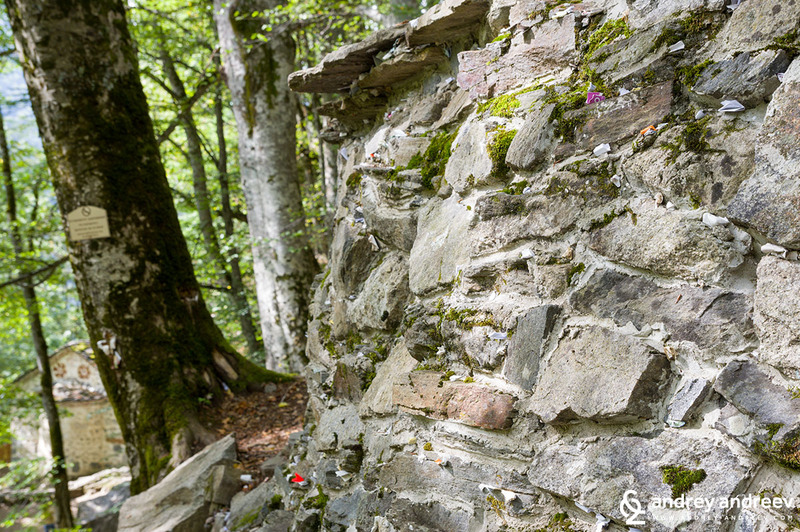 Let’s get back to when we passed by the monastery and headed some 5 km further in the mountain to visit the grave of its founder – Saint John of Rila. At first we wondered whether we will see it because it was our first time there. It is a few km after the monastery, maybe about 10 minutes driving. There is a big sign and a parking so you cannot miss it. After we stepped out of the car, we took the steep narrow path leading to the cave where the saint spent the last 12 years of his life. It takes a 10-15 minutes’ walk. The path is relatively easy and accessible even for old people and small kids. Many centuries ago, the first monastery was located somewhere in this area. 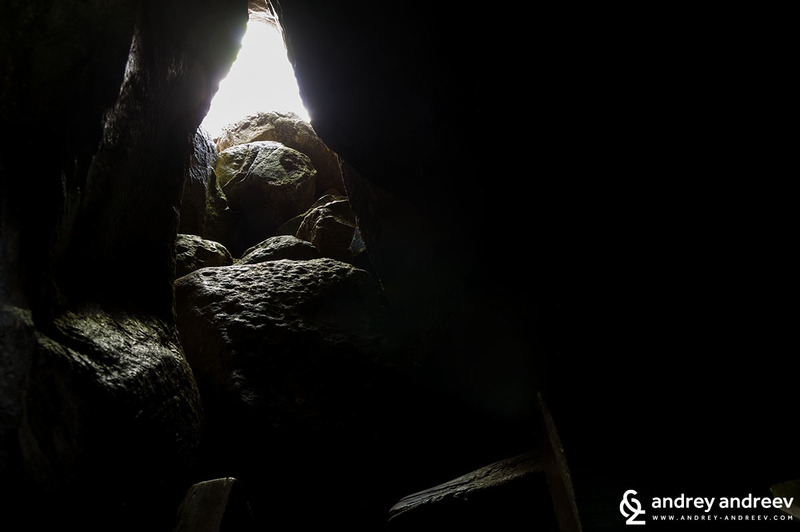 After the climb, you find yourself against a small old church, almost built in the rock. The church is on the left and the narrow path on the right takes you to the cave where the saint lived and was buried after his death. A few months later, his remains were removed from the cave and brought to Sofia and later to Veliko Tarnovo. They were returned to the Rila Monastery in 1469 where they are being kept until today. 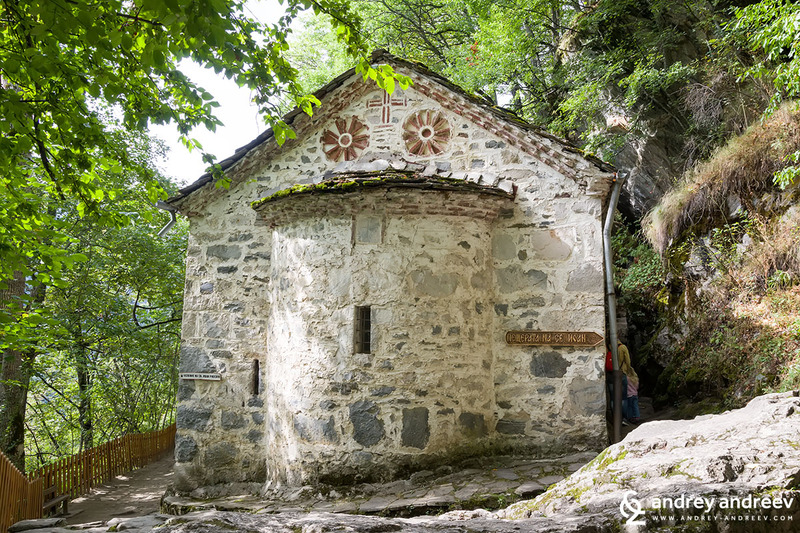 The small building next to the cave is the Church of the Dormition of St. John of Rila. 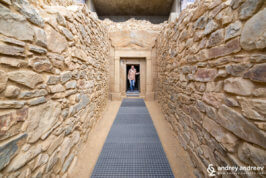 It is unknown when exactly it was built but the earliest written evidences about its presence date back to 1385. It was renovated in 1820. The cave of the hermit keeps is a very special place itself. Inside you will find a wooden ladder leading to a narrow hole on the ceiling. It is said that only righteous people can pass through it. I don’t know whether this is true, I have never seen someone stuck inside. However, I have seen many people hesitating whether to dare. For the protocol – our whole family succeeded to pass through. 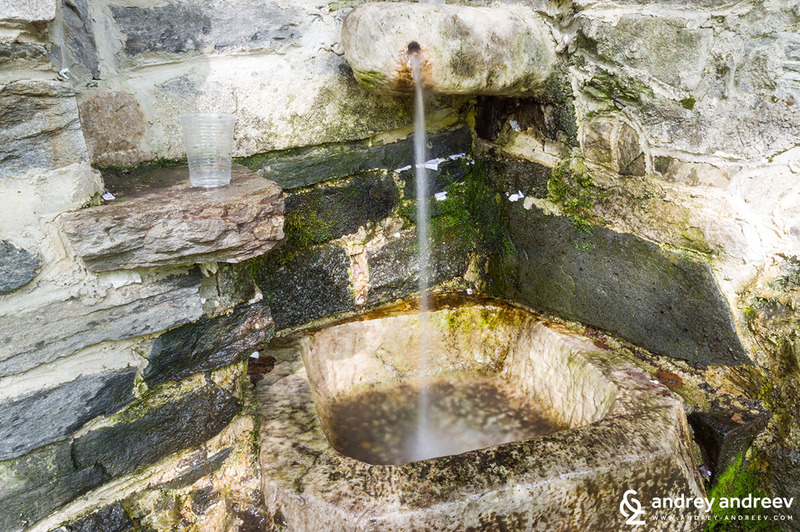 Another special place is the holy spring nearby with healing water, which broke out after the prayers of the saint. A bit further to the east is the rock from which st. John sent his prayers to God. 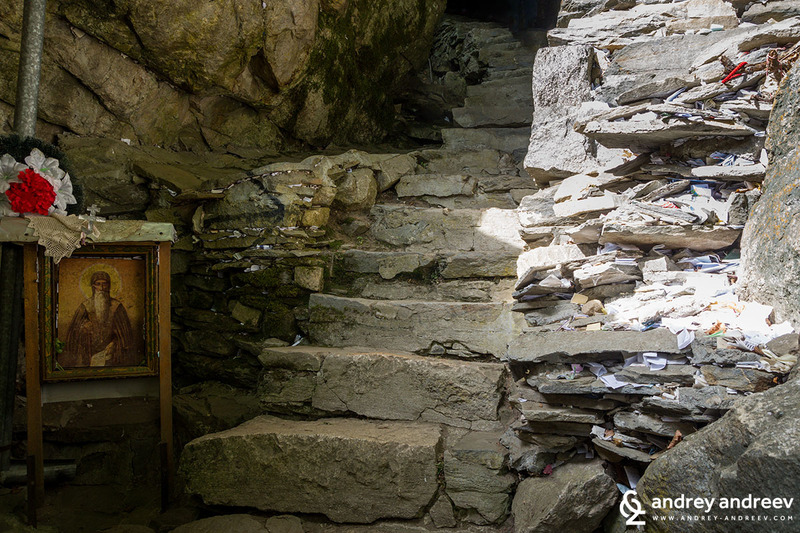 Near the cave and the spring you will find hundreds of folded letters with pains, hopes, prayers, left from the visitors. The place is believed to have healing powers. 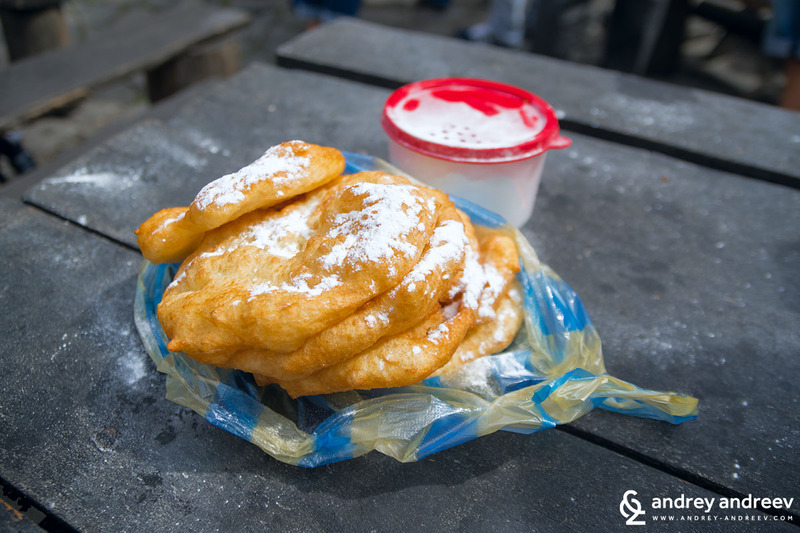 So simple, but so amazing – the opportunity to enjoy some traditional Bulgarian foods just next to the Rila monastery. 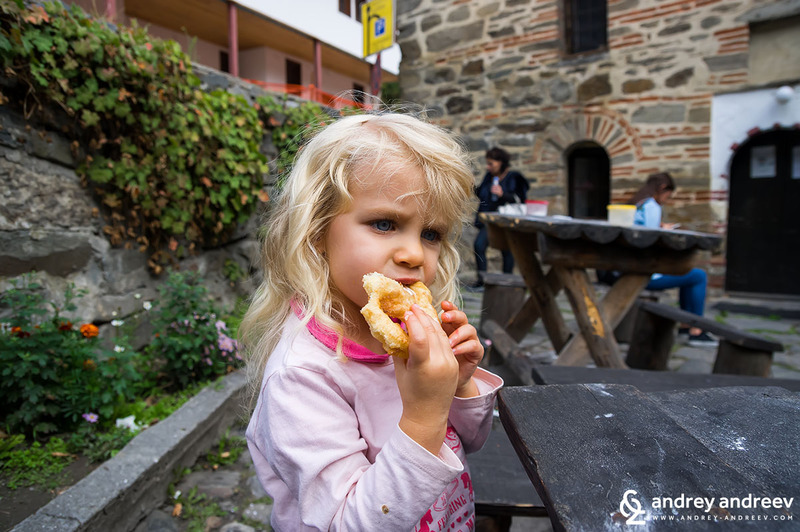 The bakery just outside the monastery yard offers delicious mekitsi (fried dough pastries), bread, buffalo and sheep yoghurt and some other local specialities. You will recognize it by the long queue outside and the delicious smell of warm bread and pastries. Despite there are many hotels and restaurants in the area, we always prefer to have the mekitsi with yoghurt. The past 100 years have not been easy for the monastery. 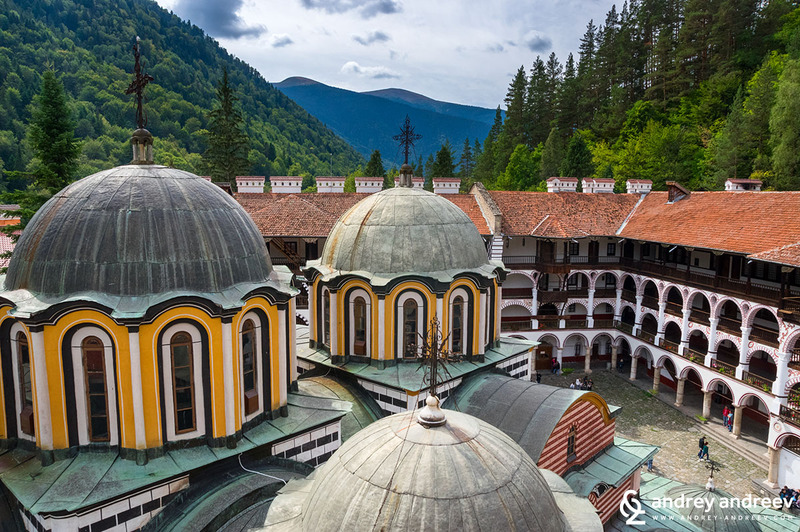 In 1961, during the Communist rule, religious activities in the monastery were forbidden and the Rila Monastery was declared a museum. All the monks were evacuated and sent to other monasteries across the country. In 1968 they were allowed to return to take care of the place. In 1983 the monastery was declared a monument of culture under UNESCO protection. Its religious state was restored in 1991 after the fall of communism. Rila Monastery has its own Post office from where you can send a postcard to your friends. 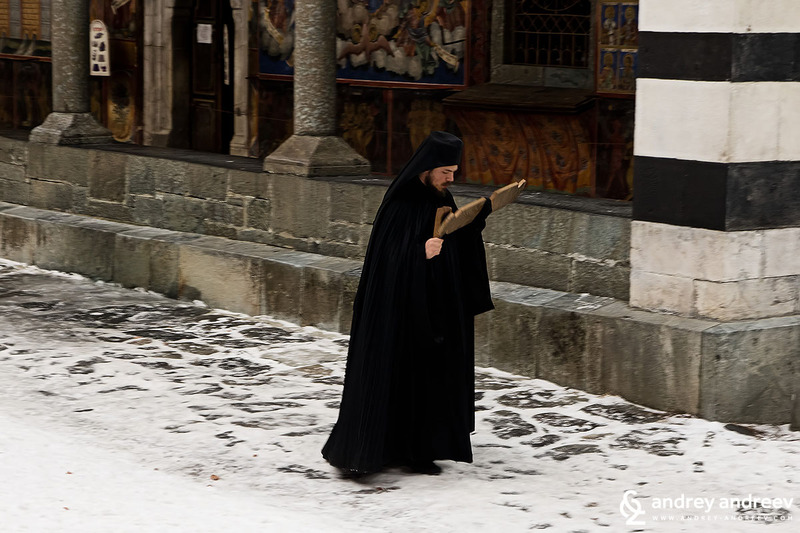 The museum of Rila Monastery is probably the most underestimated place within the compound. Most people spend a lot of time in the church and the beautiful yard but skip visiting the museum. 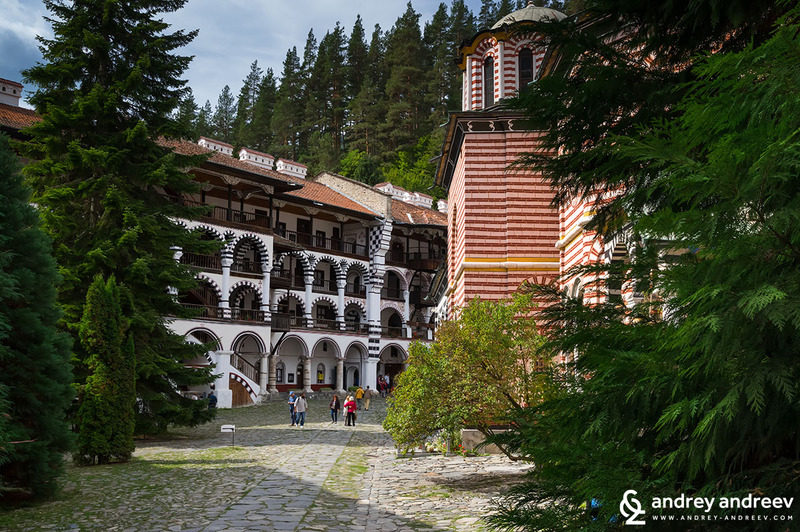 However, if you are planning a visit to Rila Monastery, allow some time for the museum, too. 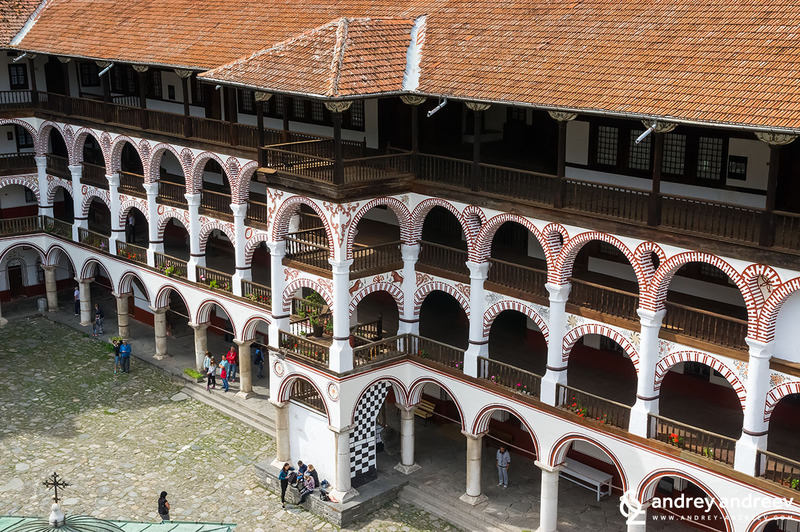 The museum of Rila Monastery is the place that keeps its 1000 years of history. While the oldest building were replaced with more solid ones, artefacts from the centuries were preserved in the monastery’s archives. Currently, the museum consists of 4 separate exhibitions – a historic museum, ethnographic museum, icons exhibition and resemblance of traditional Bulgarian room. The historic museum hosts the largest exposition. A central piece of it is the Rafail’s cross – a wooden carved cross with the finest carvings, resembling 36 religious scenes with 600 figures. It was created by a monk named Rafail in late 18th century. It took the monk 12 years to complete is and eventually he lost his sight. In the ethnographic exhibition, you will see traditional Bulgarian costumes from different parts of Bulgaria. Another important place is the icons exhibition, featuring some of the oldest icons of the monastery. You can buy a separate ticket for every section or a combined ticket for the 4 of them. Tickets are sold at the cash desk in the main museum. 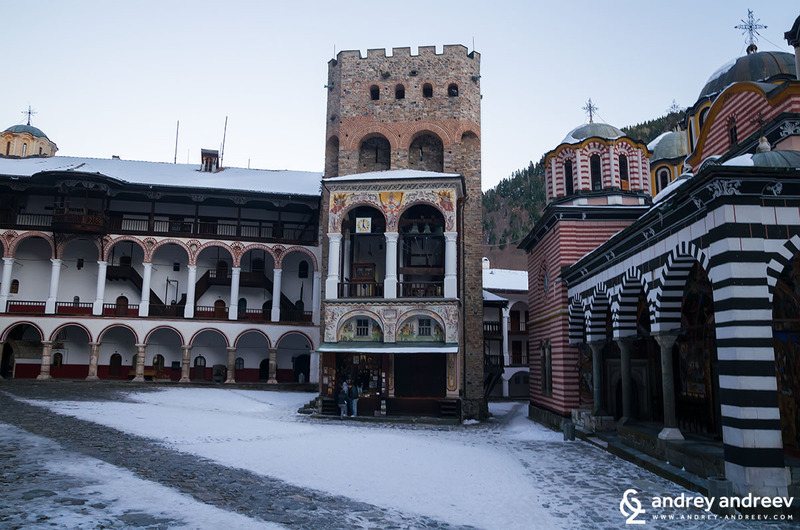 Rila Monastery has a statute of a residential settlement with population of 58 inhabitants. making noise, as well as entering with pets. it is not accepted the sit in the temple with crossed legs, to keep hands in pockets, as well as the use of mobile devices. 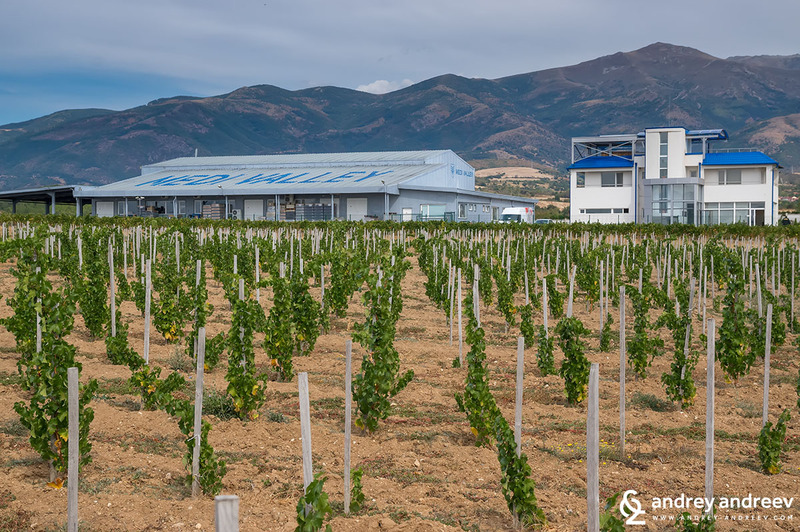 If you are looking for another nice experience on the road to Rila Monastery, one of our favourite places Is the Medi Valley winery in the village of Smochevo. 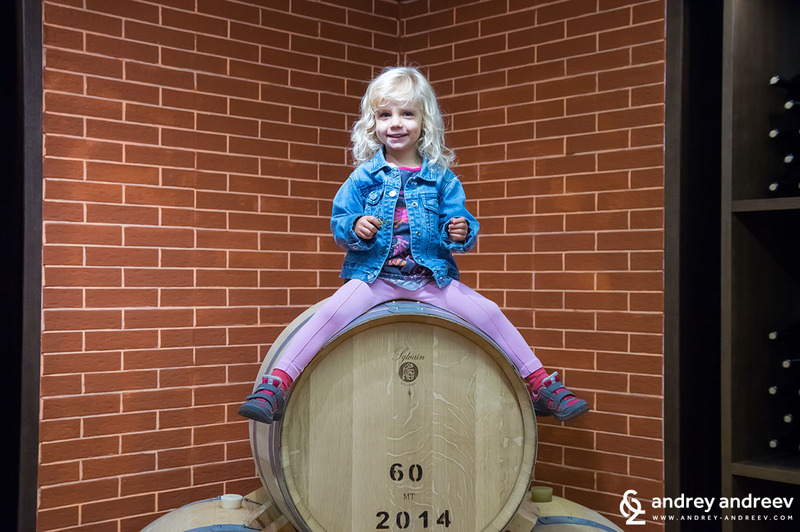 There you can take a tour and taste some very nice and interesting wines. 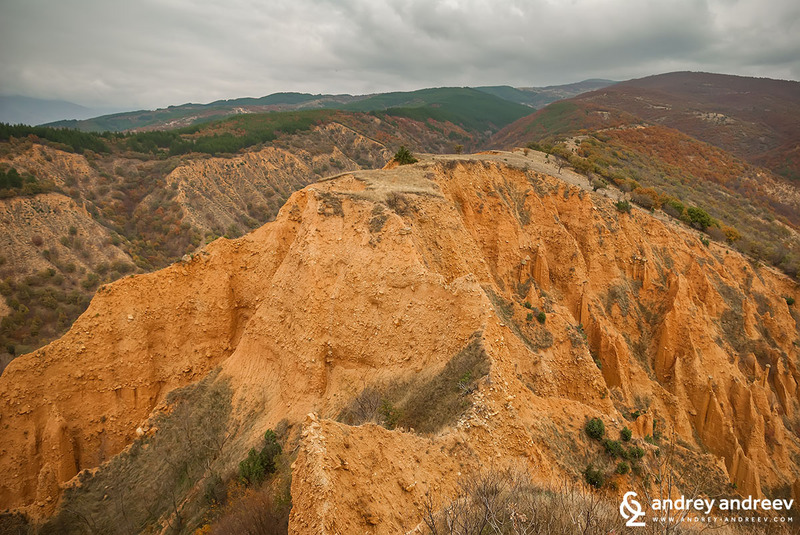 On the main road to Rila Monastery, a little bit after you leave the highway, there is a junction for the nearby village of Stob and the very beautiful sand pyramids in the area. They are very similar to the Melnik pyramids but not so big. By car: Rila Monastery is reachable by a well-maintained road, though mountainous and very curvy. 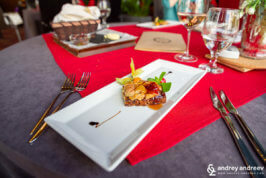 There are many hotels and restaurants in the area. The road starts after you leave Struma highway at the junction for Kocherinovo. Then you drive 30-40 km up to the monastery. It takes around 1h and 30-40 minutes by car from Sofia to Rila Monastery. By train: The nearest train stations are in Dupnitsa and Blagoevgrad. You can reach them by train from Sofia Central Station. From them you need to take a bus to Rila Monastery. 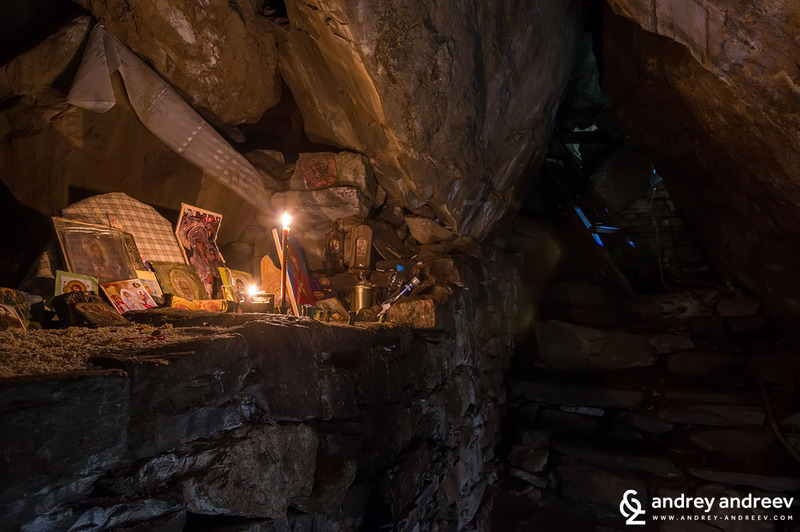 By bus: There is one direct bus from Sofia to Rila Monastery a day, leaving from Ovcha Kupel bus station at 10.20 am, arriving at 13h and leaving back at 15h from Rila Monastery – arriving in Sofia at 17:20h. The price is about 11euro return ticket. From Blagoevgrad there are regular buses at 7, 12 and 15h. From Dupnitsa the buses leave at 6.40 and 14.15. 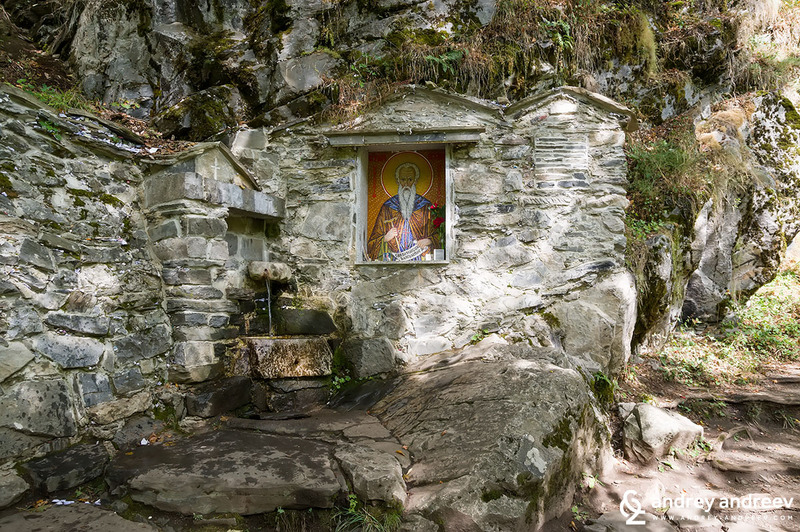 Town of Rila is not very close to the Monastery – 21km, so you have to take bus directly to the monastery! 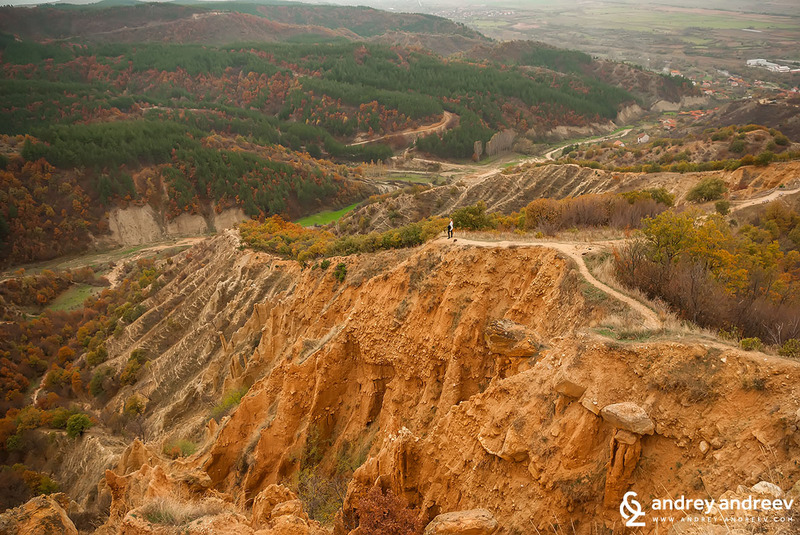 I will recommend you to use Shuttle: Several private companies offer shuttle services from Sofia to Rila Monastery. 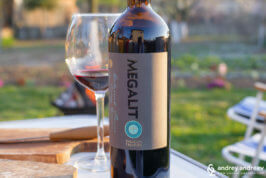 We are partnering with two of them to provide you a 5 % discount if you wish. 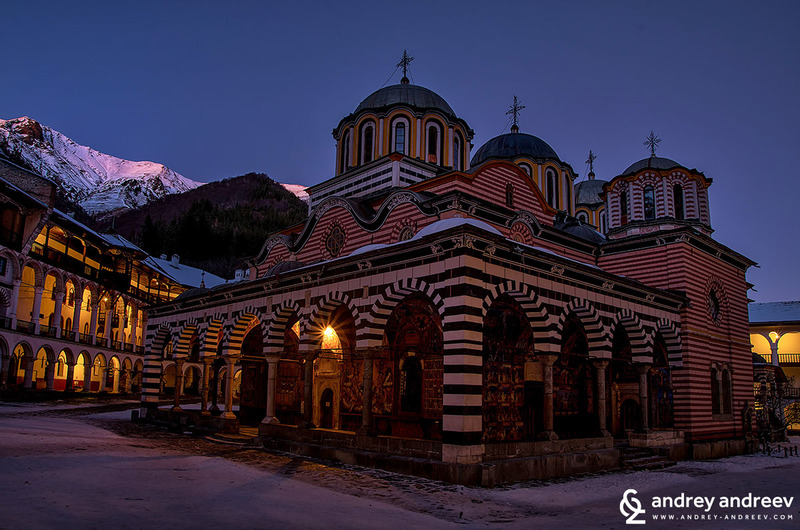 – Rila Shuttle is offering several shuttle options from Sofia to Rila Monastery and also combinations with other destinations including Rila Lakes, Plovdiv, Boyana Church and others. Check their tours and book the one that fits you best. Use promo code AndreevTravel to get 5 % discount for all of their tours. 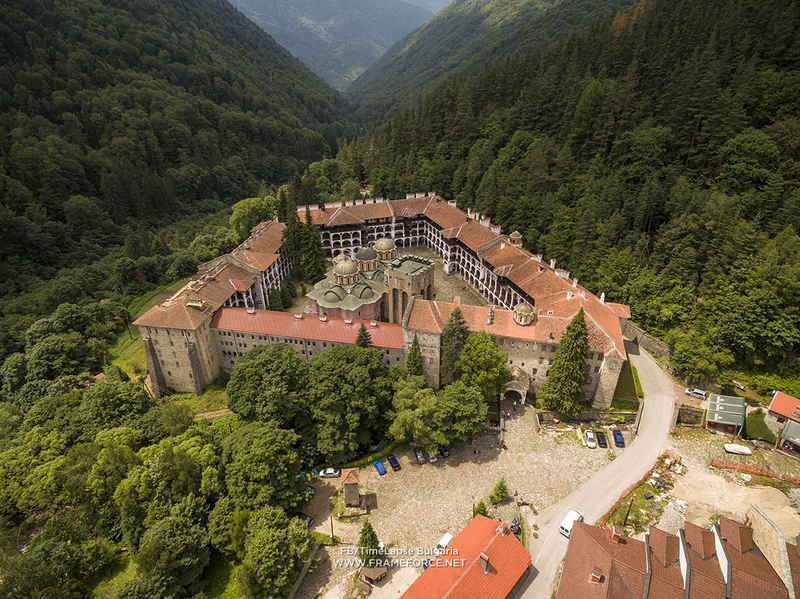 – Traventuria offers a combo shuttle from Sofia to Rila Monastery and Boyana church and you can also hire an audio guide for the monastery at an additional fee. Get a 5 % discount with promo code ANDT18. The above tours are not identical so I would recommend you to check them both and choose the one that fits you best. Note that some offer hotel pickup options or additional services and the buses could depart at different times. Guided tour: If you are looking for something more than just transportation, try a guided tour. The travel company Traventuria is offering a combo guided tour from Sofia to Rila Monastery and Melnik. 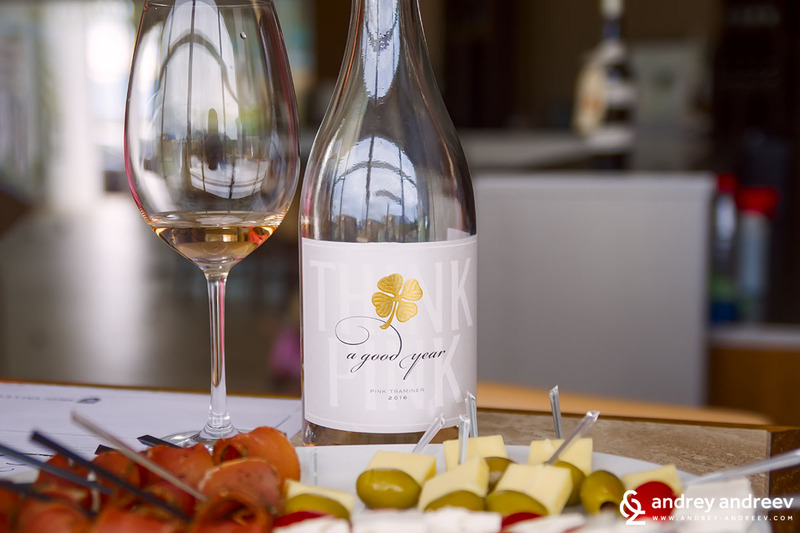 Get a 5 % discount with promo code ANDT18. We always share when we discover a nice place. Recently we had a walk to the Stob pyramids and decided to stay in the small village of Stob, to enjoy the quietness and serenity. 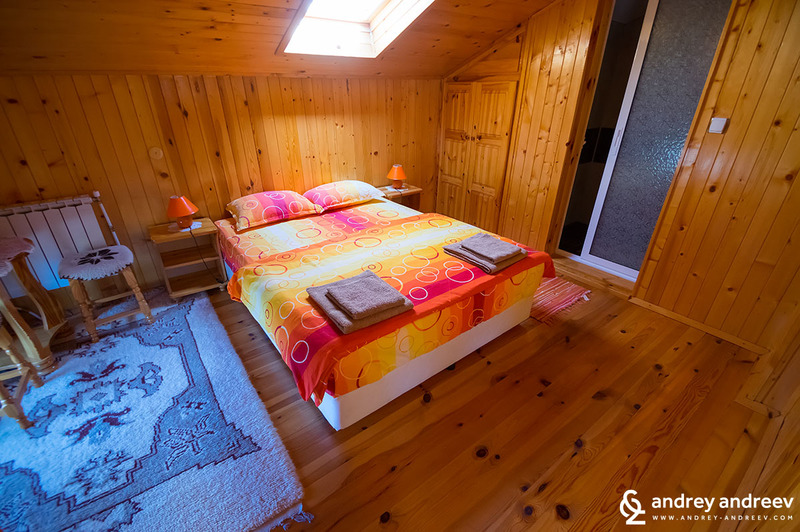 We stayed at Argacho guest house and are more than happy to recommend it if you are wondering where to stay in the area of Rila monastery. It is a wonderful budget guesthouse and the host Peter will make you feel home. The house is not very close to the Monastery – 20 km. But you will like the Stob village.